The fast-food chain is hinting it will once again introduce a new actor to portray Colonel Sanders during Sunday's game. LOUISVILLE, KY: KFC is working with Edelman to publicize its activity for Super Bowl 50. The fast-food chain has hinted it could introduce a new actor portraying Colonel Sanders to replace Norm Macdonald during the event. The agency started working with KFC last month, according to a source with knowledge of the situation. The partnership comes shortly after the chain ended its relationship with Emanate, which had served as KFC’s consumer and corporate PR AOR in the US since 2012. The Omnicom Group firm was working with the brand as recently as January. "KFC has shifted the business to a consolidated global agency of record model and we will no longer be representing them in North America," said Lisa Rigney, VP at Access Emanate Communications, told PRWeek via email. "It has been a delicious ride to be part of KFC for so many years. We are so proud of the great work, ending with the incredible launch this past month of Nashville Hot Chicken." Access Communications and Emanate merged at the start of the year. The merged firm is a part of Ketchum's network. 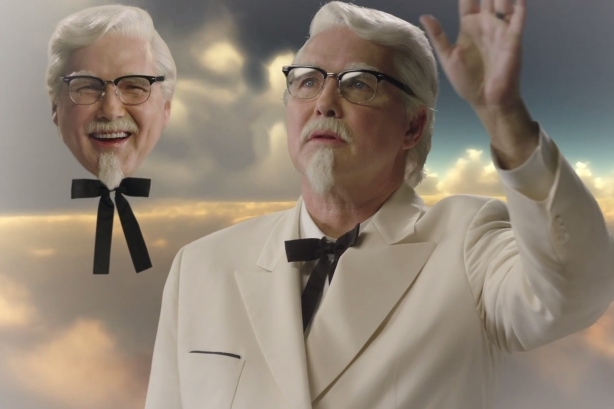 This week, Edelman staffers have been pitching a teaser for KFC’s Super Bowl activation, which included a video of Macdonald titled, "So long, farewell," implying his run as Colonel Sanders is coming to an end. KFC will debut two pieces of creative, one during the Super Bowl pre-game show and one on the CBS Live Stream. A representative from KFC declined comment. Last week, KFC CMO Kevin Hochman told PRWeek that its plan is to rotate actors playing the role of the colonel, an exaggerated version of the chain’s founder. "We initially chose Darrell Hammond to play the role [last May] because he brought authentic impressions, which was good because it had to have credibility," he said. "We then brought in Norm Macdonald [in August 2015] because we were looking for someone we thought could make fun of the idea that we brought back the colonel. With the next colonel, we might not be looking for that kind of humor." KFC is a subsidiary of Yum! Brands, which also includes Pizza Hut and Taco Bell. Edelman has supported Taco Bell on corporate reputation and engagement work since 2012. A Taco Bell spokesperson said in mid-January that based on the success of that work and Taco Bell’s growth plans, the brand named DJE Holdings, Edelman’s parent company, as its AOR in 2015. The brand works with Edelman and sister agency Zeno Group. "At this time, we are working primarily with Edelman and will tap into other DJE resources as necessary," a Taco Bell spokesperson said last month. Edelman recently parted ways with Chipotle Mexican Grill, after a seven-year relationship as the brand’s AOR, due to a client conflict. Earlier this week, Chipotle reported a sales decline of nearly 15% after a quarter that included an E. coli outbreak linked to its stores. This story was updated on February 4 to correct that KFC and Access Emanate were working together as recently as January.